We are excited to announce the opening of the exhibition; Incorrigibles: Bearing Witness to the Incarcerated Girls of New York. This exhibition showcases the work of artists involved with the Incorrigibles project as well as the stories of women who were incarcerated at the New York State Training School for Girls. This exhibition features work by artist Alison Cornyn, project director of Incorrigibles, work by artist Beth Thielen known for her unique book-making style, written works by women who have faced some form of incarceration in their lives, embroidery by Diana Weylan and paintings by a young artist, Aaliyah Mandley; who is currently enrolled in an alternative to incarceration program at the Brooklyn Federal Courthouse. Bearing Witness to the Incarcerated Girls of New York is taking place within the Charles P. Sifton Gallery at the Brooklyn Federal Court House. 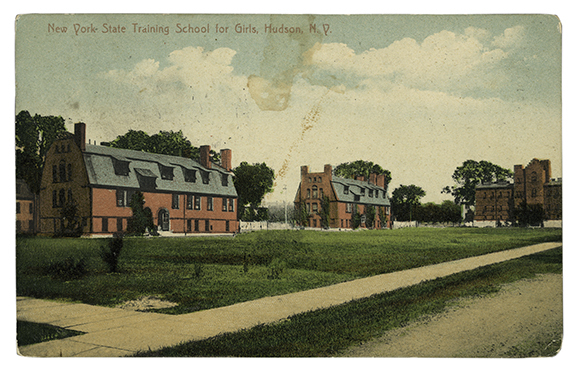 There is a variety of photographs displayed at the gallery; young women who resided at the New York State Training School for Girls along with archival documents including letters by these young women, their families and institution staff. This exhibition is free and will remain open until mid-February. This exhibition has been made possible through a partnership with the Brooklyn Federal Courthouse and For Freedoms. Click or tap to dismiss this message, and maybe refresh the page. Please feel welcome to let us know what happened, too.